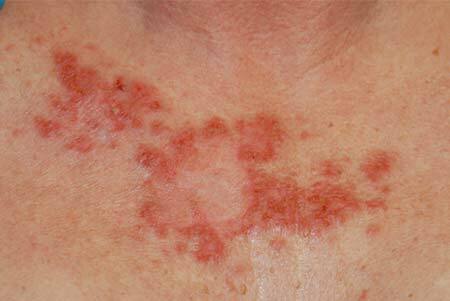 What are the five signs of skin cancer and its causes? Cancer basically develops when a DNA molecule (which is responsible for encoding genetic information) is damaged making the body unable to repair the damage. The damaged cells grow rapidly and divide uncontrollably. When this process occurs in the skin, it results in the development of signs of skin cancer. The damaged cells multiply to form a tumor. Skin cancers can be detectable in the early stages because a skin cancer develops in the outermost layer, epidermis of the skin where a tumor is clearly visible. There are basically three types of skin cancer. These cancers develop within the skin in a different type of cell and are named according to the type of cell in which it develops. Skin cancers are divided into classes. Melanoma and non-melanoma skin cancers. Melanoma is the most lethal form of skin cancer. Awareness of these five signs of skin cancer will help you when to consult your doctor. Asymmetrical growth patterns-cancer will grow in an irregular pattern. Border for new outgrowths as cancerous cells has indistinguishable borders. Examine the color of any new growth on the skin. Color of skin cancers can be brown, blue or red, translucent, tan or black. Notice the diameter of the growth. Doctor should not ignore a diameter of more than a quarter of an inch. Growths of this size have a greater chance to be cancerous. Look for the elevation of growth above the skin which appears to be uneven. People find it difficult to dedicate time in today’s busy lifestyle to take regular care of skin.Skin cancer is more common in people with light coloured skin who have spent a lot of time in the sunlight.Skin cancer can occur anywhere on your body,but it is most common in places that have been exposed to more sunlight such as your face,neck,hands and arms. This page is of great help for me to select the correct product.